The project will involve three components. First is a ‘remote sensing’ study, in which participants will examine satellite imagery to identify Joshua trees from space. In an initial pilot study, we surveyed 5% of the entire Mojave Desert, and were able to dramatically improve both the accuracy and resolution of current range maps. We will use the Zooniverse.org web interface to offer anyone with an internet connection to participate in the project. 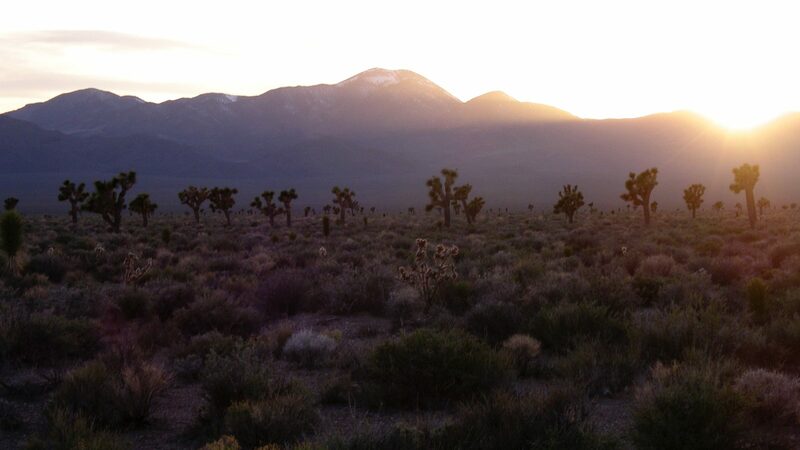 Participants will complete a few simple training steps online, and then begin collecting data to improve our understanding of the environments in which Joshua trees grow. Watch the JTGP web page, Twitter feed, or Facebook group for updates about the website launch. To complement and enrich the data collected in the crowd-sourced remote sensing analysis, we will also organize ‘ground truthing.’ In this project component, teams of community scientists, guided by local conservation leaders, will survey sites identified through remote sensing. These teams will both verify the presence of Joshua trees in areas identified from satellite imagery, and collect data about the density, age-class distribution, and health of individual Joshua trees. As we establish a foundation of data from these two project components, we will transition to monitoring sites over time to see how they respond to environmental changes. Teams of community scientists, guided by local conservation leaders, will return to sites several years after the initial survey to measure rates of growth, mortality, and the growth of new seedlings. Understanding how Joshua trees in different parts of the desert respond to climate change can help us to identify places where they can continue to thrive into the future and ensure that those sites are protected.